I brought this back from South Africa. 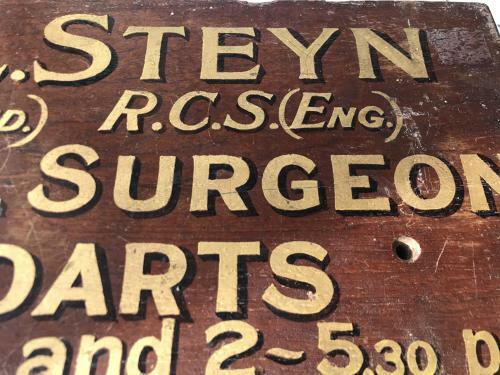 Lovely Dentist's Sign advertising his times, all original paint. Royal College of Sugeons, England. Would make a great present for a man etc.